and businesses who are primarily concerned about the future of the electrical energy sector. At AWED, we believe that we do have environmental and energy issues, and that such technical matters should be resolved by using real Science. Click here to visit the website of Vets$Energy. Vets4Energy is a group of volunteer veterans who continue to serve America as advocates for energy policies to sustain our national security. Representing all branches and ranks of the military, they partner with Veteran Service Organizations (VSO’s) across the country to deliver the message that Energy Security = National Security. These Veterans, who have dedicated their lives to protect our nation, remain a strong voice to policymakers to convey the importance of energy to our national security. 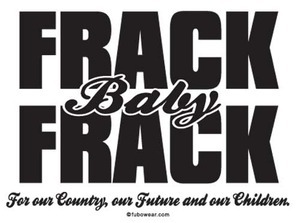 Click here to read: Fracking? NC’s geology doesn’t support it. Click here to read: No More Fracking Tests in the Mountains. Click here to read a very interesting and detailed post called “Fracking Awesome”. The ins and outs of fracking Click here to view. Click here to read: NC Energy Forum Hydraulic Fracturing Facts vs. Myths. Click here to read: Study Confirms Earthquakes In Ohio Were Triggered By Fracking. Click here to read: Facts on Fracking: Addressing concerns over hydraulic fracturing coming to North Carolina. Click here to read: What Chemicals Are Used. Legislation enacted by the General Assembly during the 2014 Regular Session (among other things) clarified requirements applicable to trade secrets and confidential information received in connection with permitted oil and gas activities. In summary, the relevant provisions (see Sec. 8 of Senate Bill 786 / S.L. 2014-4) require public disclosure of all information pertaining to oil and gas activities, including the chemicals used in the hydraulic fracturing process, except upon a determination by the Mining and Energy Commission that disclosure of such information would divulge methods or processes entitled to protection as confidential information. Furthermore, the statute gives a right of appeal from a decision of the Commission as to the confidentiality status of information to any person who requests information and any person who submits information who is dissatisfied with a decision of the Commission to withhold or release information. I would also note that even if information is determined to be entitled to protection as confidential information, such information must be disclosed to the Division of Emergency Management, and, in the event of an emergency, must be immediately disclosed to first responders and medical personnel. I hope this information is helpful. Please let me know if you require additional assistance. “§ 113‑391.1. Trade secret and confidential information determination; protection; retention; disclosure to emergency personnel. (a) Legislative Findings. – The General Assembly finds that while confidential information must be maintained as such with the utmost care, for the protection of public health, safety, and the environment, the information should be immediately accessible to first responders and medical personnel in the event that the information is deemed necessary to address an emergency. (1) Review confidential information that concerns hydraulic fracturing fluid, as that term is defined in G.S. 113‑389, to ensure compliance with all State and federal laws, rules, and regulations concerning prohibited chemicals or constituents, or exceedances of standards for chemicals or constituents. The State Geologist, or the Geologist’s designee, shall issue a written certification within five days of completion of the review that the hydraulic fracturing fluids, including chemicals and constituents contained therein, comply with all State and federal laws, rules, and regulations; (ii) transmit the certification to the Mining and Energy Commission and the Director of the Division of Energy, Mining, and Land Resources; and (iii) transmit a copy of the certification electronically to the permittee. Horizontal drilling and hydraulic fracturing treatments shall not commence until this written certification has been issued and transmitted as required by this subsection. (2) Review, in consultation with the State Health Director, confidential information that concerns hydraulic fracturing fluid, as that term is defined in G.S. 113‑389, to advise local health departments of additional parameters that should be included in testing for private drinking water wells in their jurisdictions in compliance with the requirements of G.S. 87‑97 and the Private Well Water Education Act enacted by S.L. 2013‑122. (1) The Division of Emergency Management of the Department of Public Safety. The Division shall maintain this information as confidential except if disclosure is necessary to carry out a proper function of the Division, including for the purposes of emergency planning and emergency response. For purposes of this section, the term “emergency” is defined as provided in G.S. 166A‑19.3. (2) A treating health care provider who determines that a medical emergency exists and that the information is necessary for emergency or first aid treatment. Regardless of the existence of a written statement of need or a confidentiality agreement, the Department shall immediately disclose the confidential information to the treating health care provider upon request. If confidential information is disclosed pursuant to this subdivision, the Department shall notify the owner of the confidential information as soon as practicable, but no later than 24 hours after disclosure. The owner of the confidential information may require execution of a written statement of need and a confidentiality agreement from the treating health care provider as soon as circumstances permit. The confidentiality agreement (i) may restrict the use of the information to the health purposes indicated in a written statement of need; (ii) may provide for appropriate legal remedies in the event of a breach of the agreement, including stipulation of a reasonable pre‑estimate of likely damages; and (iii) may not include requirements for the posting of a penalty bond. The parties are not precluded from pursuing noncontractual remedies to the extent permitted by law. (3) A Fire Chief, as that term is defined in G.S. 95‑174, who determines that an emergency exists and that the information is necessary to address the emergency. Regardless of the existence of a written statement of need or a confidentiality agreement, the Department shall immediately disclose the confidential information to the Fire Chief upon request. If confidential information is disclosed pursuant to this subdivision, the Department shall notify the owner of the confidential information as soon as practicable, but no later than 24 hours after disclosure. The owner of the confidential information may require execution of a written statement of need and a confidentiality agreement from the Fire Chief as soon as circumstances permit. The confidentiality agreement (i) may restrict the use of the information to the emergency purposes indicated in a written statement of need; (ii) may provide for appropriate legal remedies in the event of a breach of the agreement, including stipulation of a reasonable pre‑estimate of likely damages; and (iii) may not include requirements for the posting of a penalty bond. The parties are not precluded from pursuing noncontractual remedies to the extent permitted by law. (d) Penalties for Unlawful Disclosure. – Except as provided in subsection (c) of this section or as otherwise provided by law, any person who has access to confidential information pursuant to this section and who knowingly and willfully discloses it to any person not authorized to receive it shall be guilty of a Class 1 misdemeanor and shall be subject to civil action for damages and injunction by the owner of the confidential information, including, without limitation, actions under Article 24 of Chapter 66 of the General Statutes. (1) Such actions shall be set down for immediate hearing. (2) The burden shall be on the owner of the information to show that the information is entitled to protection as confidential information pursuant to G.S. 132‑1.2. (3) The court shall allow a party seeking disclosure of information who substantially prevails to recover its reasonable attorneys’ fees if attributed to the information. The court may not assess attorneys’ fees against the Commission or the Department, however, but shall impose such fees on the owner of the information asserting confidentiality. Click here to read: Just the Facts. Watchdog.org – For nearly 40 years, there’s a been a ban on exporting crude oil from the United States to other nations in the world. 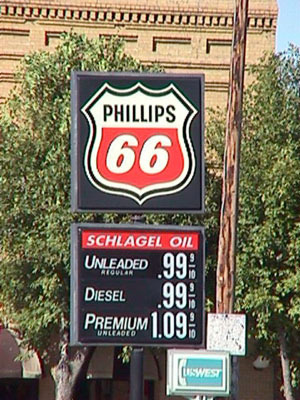 Now, a just-released study says lifting the ban could boost the U.S. economy between $600 billion to $1.8 trillion and save motorists up to 12 cents a gallon at the pump. Researchers for the Energy Security Initiative of the Brookings Institution called the ban “an anachronism that has long outlived its utility and now threatens to impair, rather than protect, U.S. energy, economic, and national security” and cites modeling that predicts broad-based economic benefits that include more jobs, better wages and higher gross domestic product if the ban got ditched. The study from Brookings, which is considered a left-of-center think tank, claims the sooner the ban is lifted, the greater the economic impact. 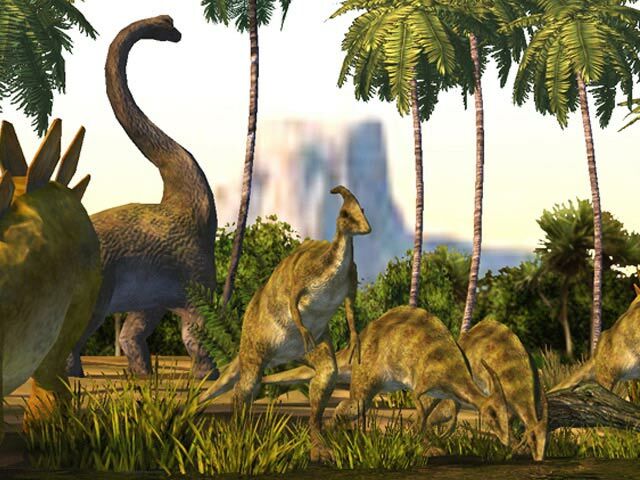 Click here to read: How Fossil Fuels Cleaned Up Our Environment. Civitas – Not surprisingly, the new study Economic and Environmental Impacts of Oil and Gas Development Offshore the DelMarva, Carolinas and Georgia by Dr. Timothy J. Considine, the School of Energy Resources Distinguished Professor of Energy Economics at the University of Wyoming, finds that the benefits of allowing offshore oil and gas production far outweigh the costs in North Carolina and the rest of the Atlantic states. Using three different scenarios – low production, medium production, and high production – Consider analyzed the economic and environmental impacts the industry would have on several Mid-Atlantic states, including North Carolina, through the year 2035. This was done in order to analyze the impacts for various output levels that could be attained based upon the amount of oil and natural gas that could be accessed. The study uses two main factors to evaluate economic impacts: “value added” and “employment generated.” In calculating these, the study includes direct impacts, such as immediate jobs, tax revenue, and capital investment, as well as indirect impacts resulting from the stimulation of related industries. For environmental impacts, Considine calculates first the costs associated with the risk of spills, contamination, and cleanup, and second the cost of higher carbon emissions. Click here to read: The fracking process doesn’t contaminate drinking water, not even in Texas. John Locke Foundation – A major federal study of hydraulic fracturing in Pennsylvania was finalized last month. Conducted for the U.S. Department of Energy, the study’s preliminary findings have already been discussed in a prior issue of this newsletter as well as two separate reports. What made this study so important to the ongoing research into horizontal drilling and hydraulic fracturing for oil and gas exploration and recovery was this: it was the first study to use tracers in the fluids injected down into the well during the fracturing process to see if they migrate back up. If they migrate back up, then they could possibly get into drinking water. The fracturing fluids were injected over 8,000 feet (well over a mile) underground into the target Marcellus Shale formation. The researchers established monitoring zones to detect the tracer fluids in the Upper Devonian/Lower Mississippian gas field that is about 3,800 feet above the Marcellus (and still about half a mile beneath drinking water aquifers). The process of hydraulic fracturing is not intrinsically dangerous. A growing consensus among energy companies, state regulators, academics, and environmentalists is that the safety issue rests in well construction. An important addition to this strengthening consensus came this month from scientists “often accused of anti-fracking bias” (as stated by The News & Observer, whose editors had previously expressed hope that their work, once published, would show that “perhaps fracking isn’t for North Carolina after all”). The Daily Signal – One of the world’s largest wind turbine manufacturers let loose a bit of truth and self-admission to the Financial Times: We still need help, and that help must come from taxpayers. 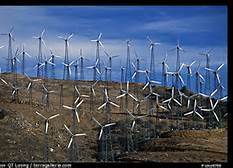 The wind production tax credit, a generous $23 per-megawatt-hour tax credit the producer receives for 10 years, expired last year. At that rate, taxpayers are effectively covering half the wholesale price of electricity and, in some areas of the country, the entire wholesale price. The PTC expired at the end of 2013, but several policymakers are pushing for an extension. 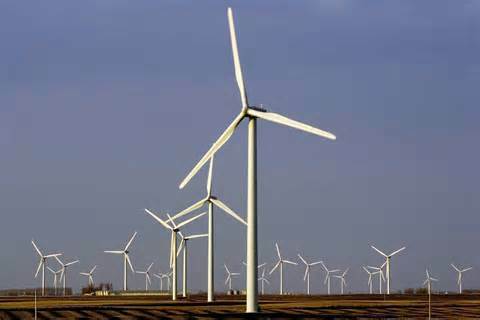 Waste in the Wind is newly formed collection of fellow believers in free markets, limited government spending and anti-government waste that is calling on Congress to the end the Wind Production Tax Credit (PTC). 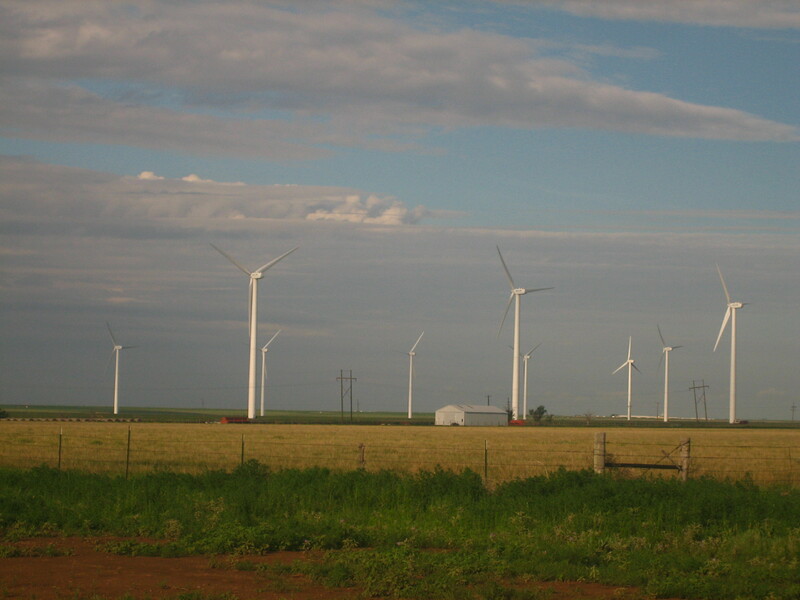 Check out the articles on Waste in the Wind tax credit..by clicking here. Fracking in NC should be a NON-ISSUE especially in WNC. Ask yourself do you wish to live in the 1700′s? In a world that could not sustain the world’s population of today? A world that could not grow and transport the food the people needed? Do you wish millions and millions of people to die? 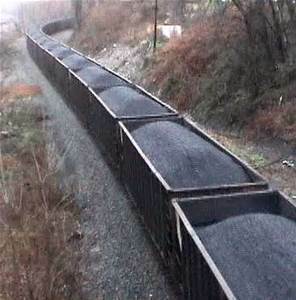 Do you even know now dirty and hard your life would be without coal, gas and oil? We do not live in the 1700′s and you know WHY? ENERGY!!!! The marvels that were not available then are possible today because of coal, gas and oil. Yes, its about our future and I for one wish to continue to live in this period because of the marvels coal, gas and oil enables us to have safely. Many people do not understand how much coal, gas and oil goes into making items like wind mills and solar panels. They do not know how many birds windmills and solar farms kill each year. For, that matter that without coal, gas and oil many things that make your life easier today would not be possible. Many do not know that much that was stated in the video GASLAND was been debunked? Did you know that fracking has been going on since 1947? I went to the Fracking Hearing in Cullowhee and all I heard were people that did not know that there is NO SHALE in WNC, so no gas to drill. And they did not know that the gas in the center part of the state in three counties did not contain enough gas to make fracking worth while. AP – The final report from a landmark federal study on hydraulic fracturing, or fracking, found no evidence that chemicals or brine water from the gas drilling process moved upward to contaminate drinking water at a site in western Pennsylvania. The Department of Energy report, released Monday, was the first time an energy company allowed independent monitoring of a drilling site during the fracking process and for 18 months afterward. After those months of monitoring, researchers found that the chemical-laced fluids used to free gas stayed about 5,000 feet below drinking water supplies. TORY AARDVARK – There are many hidden truths about the world of wind turbines from the pollution and environmental damage caused in China by manufacturing bird choppers, the blight on people’s lives of noise and the flicker factor and the countless numbers of birds that are killed each year by these blots on the landscape. The Jackson Press – Wind and solar energy sources can wreak havoc on utility grids. This is because power must be used as it is generated, and generated as it is used. There is no way to store it. As consumer demand increases, so must generation, whether or not the wind is blowing or the sun is shining. As demand drops off — for instance, during mild weather or at night when there is a slowdown in commercial and industrial activity — electricity producers must reduce output to balance production and usage. When demand is low enough, producers must pay to put power on the grid, giving electricity a negative value. Of course, that isn’t true for subsidized “renewables,” which get priority access to the grid and guaranteed prices for their product regardless of its value. Your tax dollars are going to keep flowing to them in the form of government subsidies even when their continued production is causing major grid problems. You’ll also feel the effect in your monthly utility bill because the situation forces non-subsidized producers, such as coal and nuclear plants, to remain online as spinning reserves to instantly modulate their output in response to vacillating renewable sources, a process that is both expensive and inefficient. The more a grid relies on undependable renewables, the more unstable it becomes and the higher the risk of blackouts and brownouts. Reasons to stop the Green Energy Sudsidies……………. The above is just a small sample of information why Solar is NOT the answer. Shouldn’t an industry that can’t sustain itself after 20 years of being propped up be cut loose? A business that CAN NOT Sustain itself without subsidies is not a good business model.